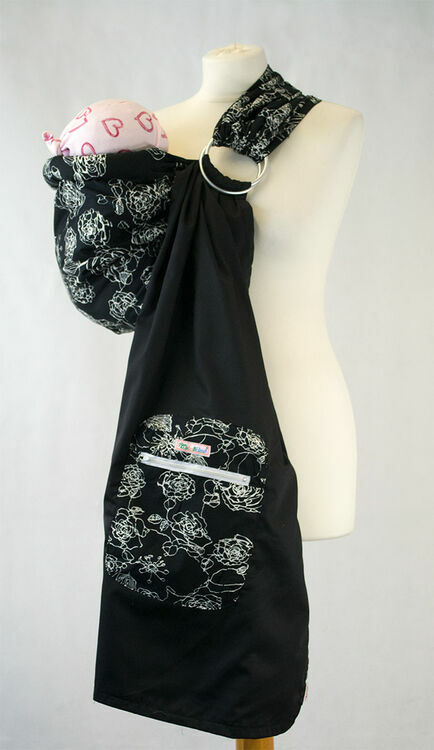 This beautiful Palm and Pond Baby Ring Sling is made from 100% cotton in black, and features a very pretty white floral pattern. 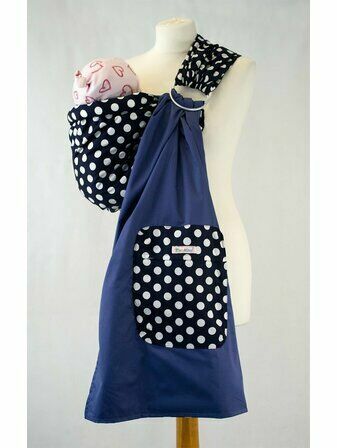 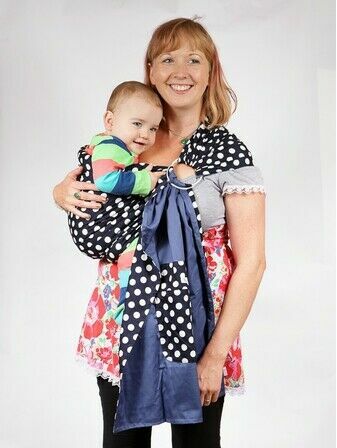 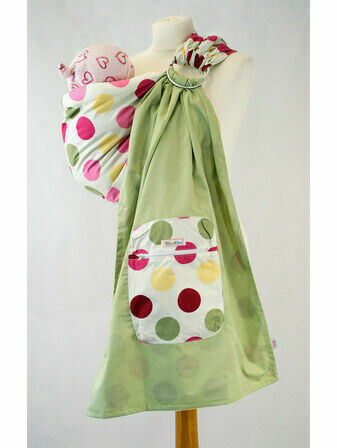 The sling also has a zipped storage pocket for extra convenince whilst you are out and about. 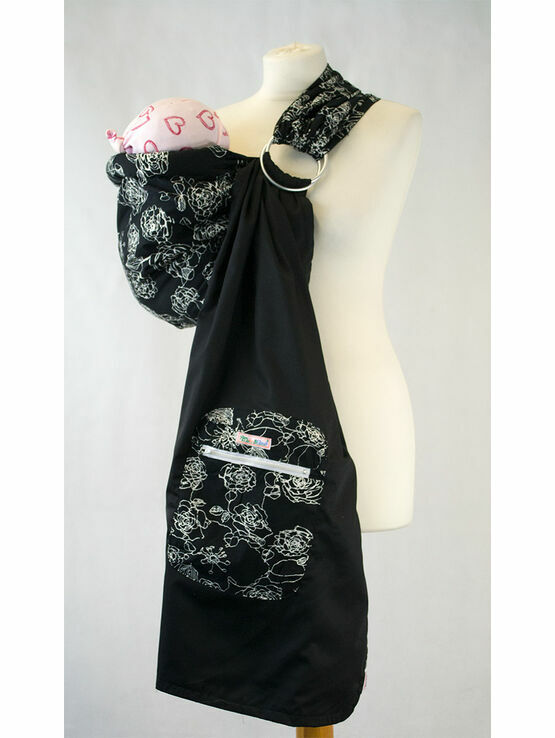 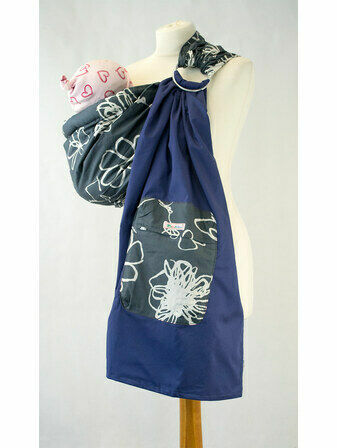 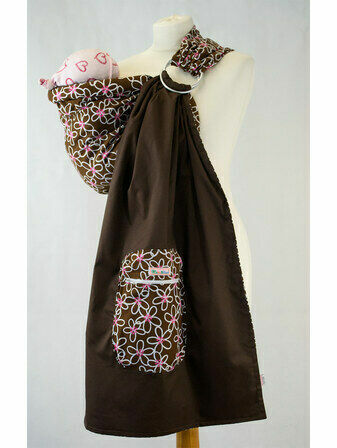 Made to a superb high quality, this ring sling features extra padding at both ends of the sling for added comfort. 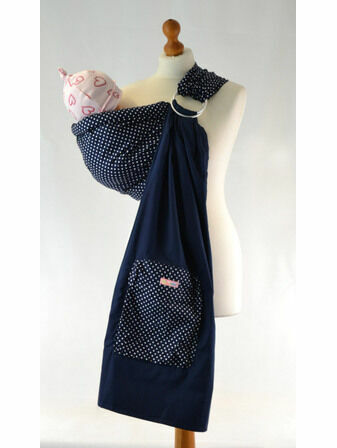  The material over the shoulder can also be spread out evenly allowing for weight to be distributed.